Camponotus castaneus has started laying their brood for the year it seems. 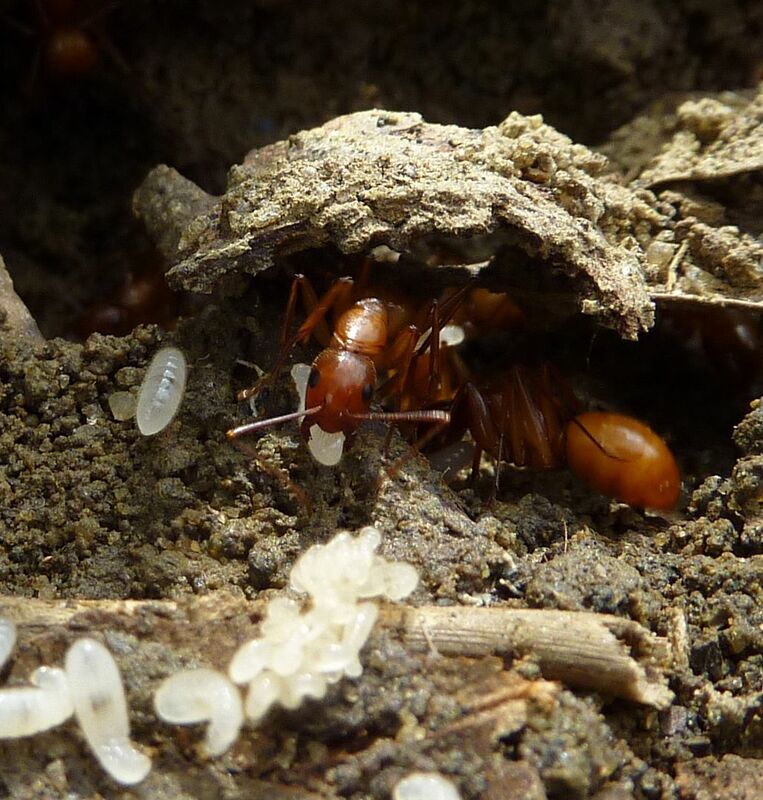 I feel that this is one of those treasured species among ant keepers because of their brilliant orange color, and size 7mm to ~17mm long with queens up to ~17mm. 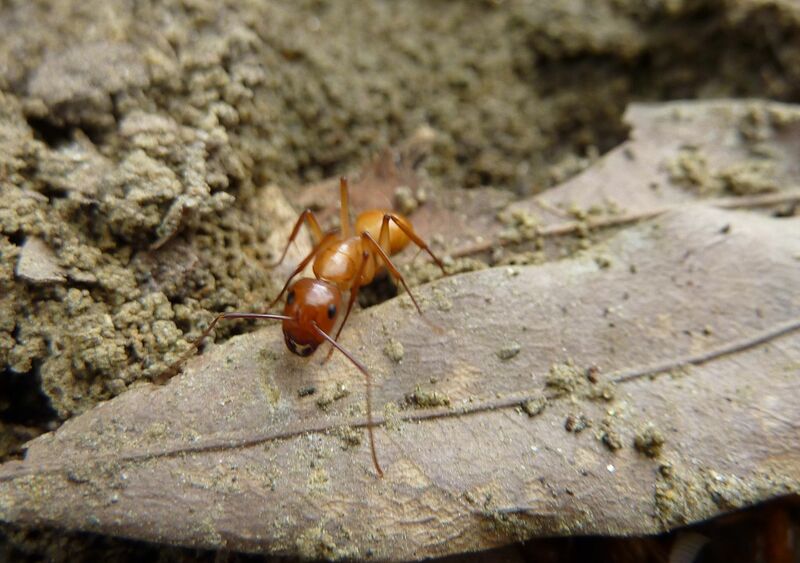 They're among the largest ants in North America as with other true Camponotus species in the genus. 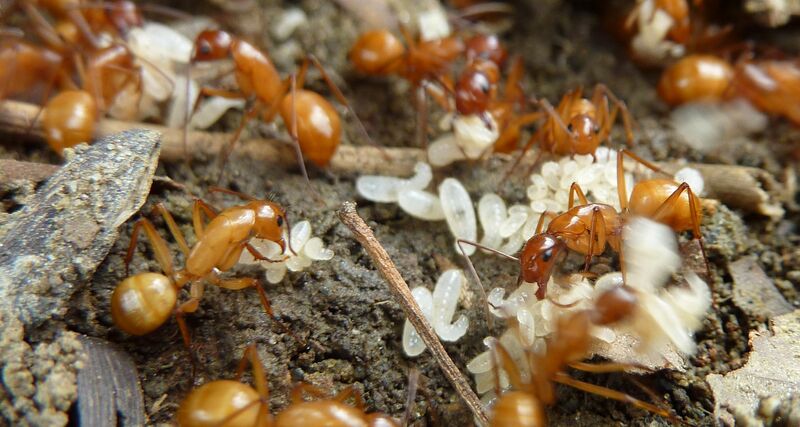 It's a diverse genus among the largest in the world and also includes several smaller species who's workers are around 4mm to 7mm long and queens around 12mm give or take. Along with having only one waist segment (note the ant in the lower left) Camponotus also have a domed mesosoma (thorax or middle section) with the three segments almost forming a smooth curve. This is the only color they come in too, the head is typically darker than the rest of the body but never black the way it is in C. americanus which also tends to have black all over it's body around joints especially. Technically C. castaneus isn't a true Camponotus species, they fall in a subgroup within the genus known as Tanaemyrmex. Such species are supposidly identified in the genus as being large just like the true Camponotus, but also having elongated looking heads. The trouble I find with this rule is that the trait is only seen in established colonies, hard to see in the smallest workers, doesn't seem to apply to the major caste (the soldiers) and I really only see it in the in between workers. So you need to be looking at a well established colony that's past their first year just to find this trait. It's one of those scientific facts that's good to know but frankly not practical enough to be useful, especially with a species you can identify at a glance if you're in the eastern U.S. and Canada. A Field Guide to the Ants of New England lists their common name as "The Chestnut Carpenter Ant"